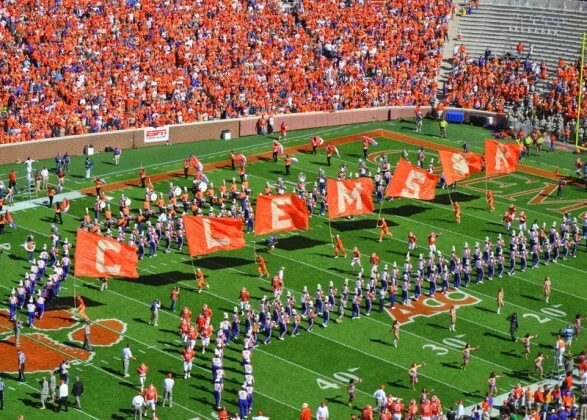 I’ve talked about how I think Auburn is basically being treated as if they already beat Georgia a second time, but when there is anything approaching parity between two teams, I think the loser has the advantage in a rematch. Kerryon Johnson dives for a touchdown in the Georgia @ Auburn game a few weeks ago. Of course the most obvious rematch in recent years was LSU and Alabama. After the Tigers won at Alabama, the Tide won easily at a neutral site for the national championship. There was a similar result in the same stadium in 1996 when Florida easily won a rematch over Florida St. after a close game during the regular season. Usually rematches are for the conference championship rather than the national championship though. 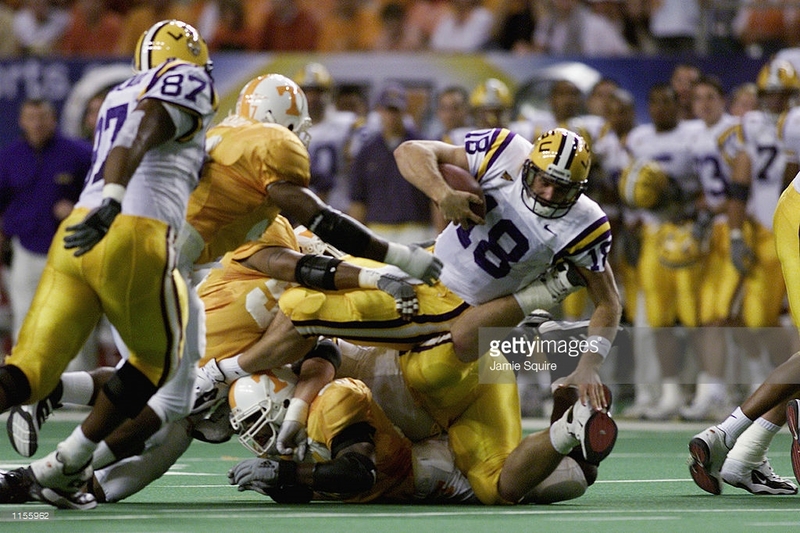 LSU’s first win in the SEC Championship in 2001 was a rematch against Tennessee. That was so long ago that the West was much easier to win than the East. LSU won the West despite 3 losses that year, one of which was to Tennessee. Tennessee won by 8 in September of 2001 and lost by 11 in the championship game; so it wasn’t quite as dramatic of a swing as LSU/Alabama in the 2011 season, but it was close. Matt Mauck jumps for a touchdown in the SEC Championship in 2001. There was an example ESPN cited of Texas beating Colorado easily in 2005 in both the regular season and the championship, but all of these rematches are between teams where apart from the previous game, it would either be difficult to pick which team is better or the loser would seem to be the better team. In 2005, Texas would have beaten Colorado probably 10 out of 10 times. 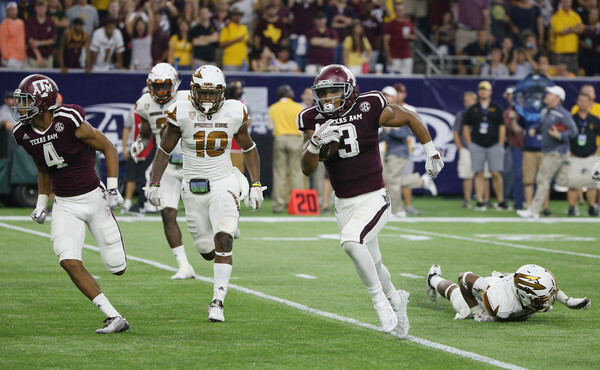 Most of the SEC rematches were closer to the Texas-Colorado category. In 2000, Florida was still one of the best teams in the county; and like I said, winning the SEC West wasn’t very impressive back then. I don’t think anyone was surprised that Florida beat Auburn easily in both the regular season and the championship. Four years later, Auburn went undefeated and had already beaten Tennessee by 24 in Knoxville. The Vols made it closer (38-28) in the rematch, but the gap was too large to start out with. Granted, Georgia would have to make a bigger swing in the final score than LSU did in 2001 (they lost by 23), but I don’t think either the Bulldogs offense or defense was playing the way they normally would toward the end. When you throw the ball a lot, you can have much quicker three-and-outs, which puts more pressure on your defense than it wouldn’t normally feel. As we saw against LSU, Auburn can score in bursts, and it’s a matter of being able to stop them and respond before it gets too bad. 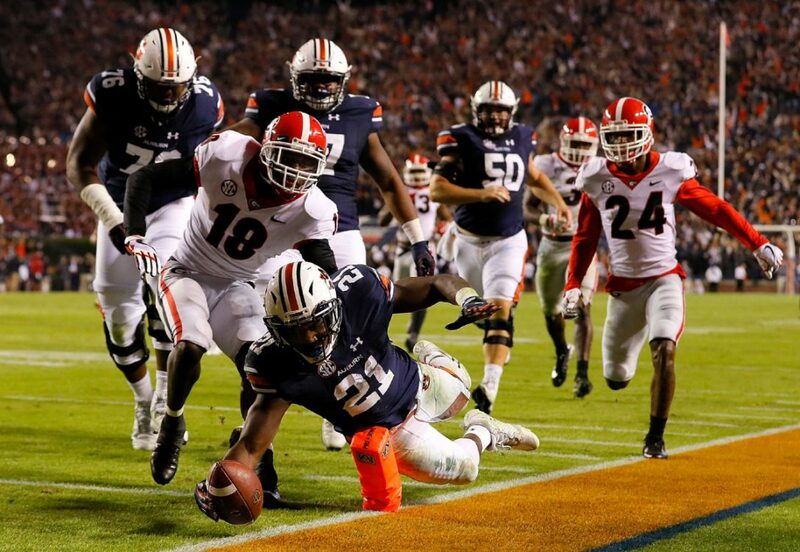 Once Auburn had scored 30 unanswered points against Georgia, it was too late. Had they only scored 20 unanswered instead (or had Georgia re-established its offense sooner), it would have been a one-possession game into the fourth quarter and changed the approach of both sides. My feeling is that if Auburn is able to get a big lead, they can easily grind out Georgia the rest of the way again. We don’t know what happens if Georgia roughly keeps pace for three quarters though. Although the TCU-Oklahoma game had a closer final score (38-20), it was 38-14 at halftime, so I think it will be easier for Oklahoma to overpower the Horned Frogs early and often than it will be for Auburn against the Bulldogs. Auburn only led 16-7 at the half. 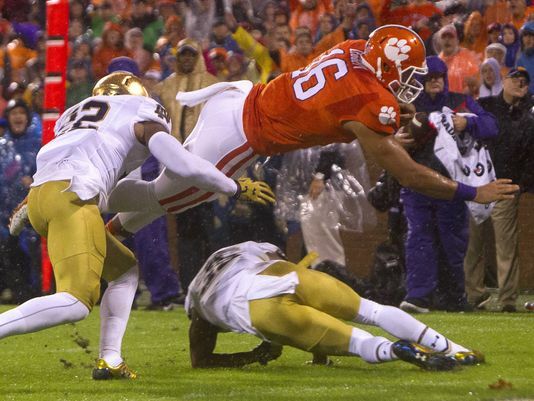 Clemson-Miami and Wisconsin-Ohio St. are not rematches, so the other notable rematch likely does not have a bearing on the national championship, but USC-Stanford may be the best game of the bunch. Freshman RB Stephen Carr had 129 all-purpose yards against Stanford in September, but it’s unclear how relevant that game will be tonight. Although the Trojans won by 18 back in Week 2, Stanford has been the better team in the last two months. Both have lost at Washington St. by 3 points, but Notre Dame beat USC by 35 and lost to Stanford by 18. Stanford has no other losses since September 17. Stanford has had more of a habit of playing down to opponents than USC has, but I don’t think that will be relevant to this game. I think it’s interesting that USC is favored, but ESPN’s FPI power index gives Stanford a 57% chance of victory. 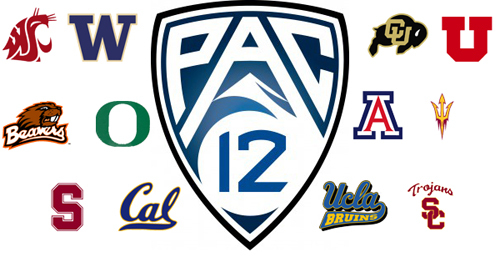 It may be that gamblers have been burned by picking Stanford more times than they have by USC. Since I didn’t get a chance to post my rankings blog until today, I’m delaying the SEC Wednesday blog to Thursday. Of course I will try to release it by game time on Thursday, but you may want to check the blog directly in case I’m delayed in one of the various ways I share this. 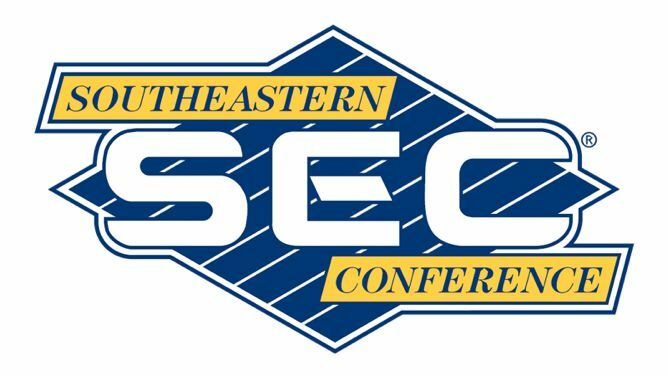 Before I get to the teams, I wanted to note that the SEC fell out of the top spot of the top-40 conference rankings but not the top-to-bottom ones. 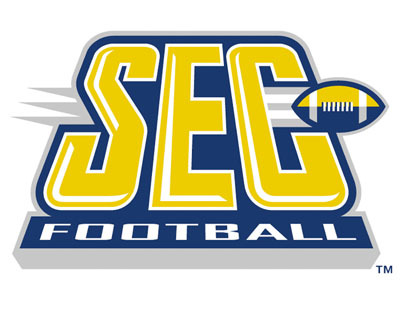 There is only one SEC team in my top 10 now, and of course LSU fell out of my top 40. The middle-of-the-pack SEC teams do enough to hurt the higher teams but don’t do enough to put themselves in the top 40. It’s been strange to have the top-to-bottom so at odds with the top-40 rankings this season. The Big Ten East takes top division in my standings. 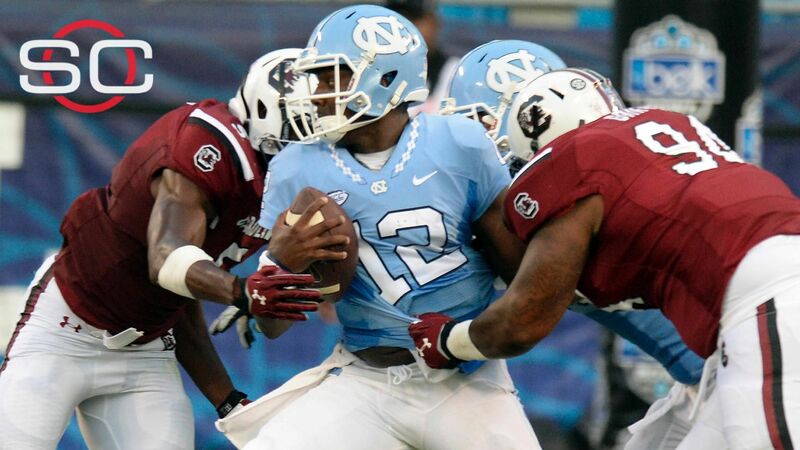 It did so with its top three teams alone even though both the SEC West and ACC Coastal have more top-40 teams apiece. 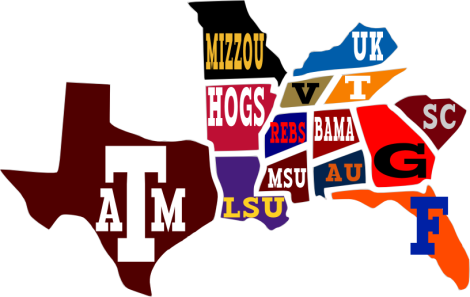 I don’t average out the divisions, but I would guess the SEC West would be #1 if I did. Maybe I’ll add room for that in the off-season. The only thing I have to contribute to the playoff conversation is that the first three spots look pretty straightforward (Alabama by winning 2 games, Clemson by winning 2 games, and a 1-loss Big Ten champion or 1-loss non-champion Ohio St.). Even though they’re ahead now, the Sooners have a disadvantage against the Huskies because Washington potentially has two games left instead of one. If Ohio St. beats Michigan, there is also a strong possibility that the Big XII would be shut out even if Washington were to lose. It would be hard to put the Sooners ahead of a two-loss Big Ten champion (which would be inevitable if Penn St., Ohio St., and Wisconsin all win this weekend). It’s worth noting that one of the teams to beat Oklahoma was Ohio St. In addition to Oklahoma and Washington, Colorado also make a significant move upwards. The bad news for Washington and Colorado is that now both of their rivalry opponents are damaged as Utah also lost to Oregon. Colorado has not clinched the South, but obviously that should be the opponent that Washington should hope for. 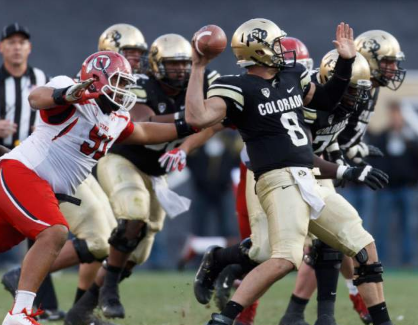 The Pac-12 South will be decided in Boulder, where Colorado has not beaten Utah since 1957. I was surprised a little bit by how high Florida climbed in the top 25, but I expected them to make the top 25 with a win. LSU has a long way to go to make the top 25, but it’s not impossible with two quality wins (A&M and a bowl game). 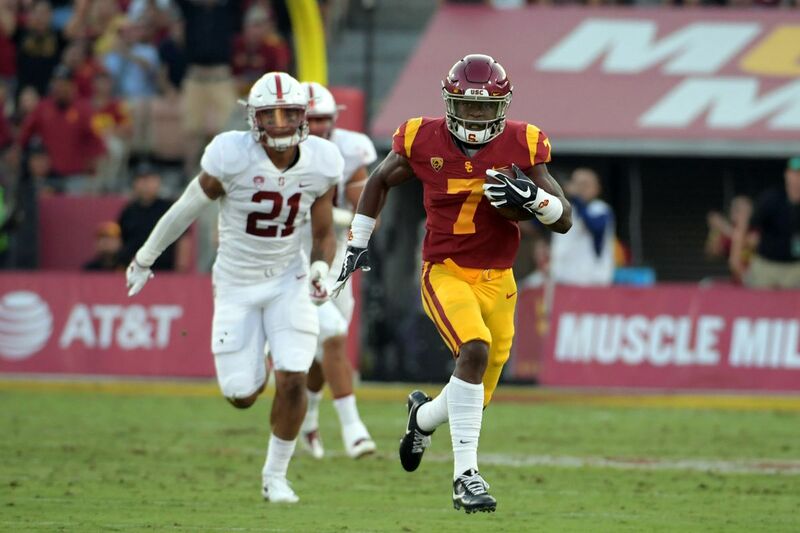 Stanford, USC, and Virginia Tech garnered wins over losing teams who weren’t too terrible, but their progress had more to do with losses by others. The Hokies are one win away from getting the honor of playing Clemson for the ACC title, and USC makes the Pac-12 title game if Utah beats Colorado.